Survival situations often don't start off as such, like a day hike or a fishing trip. It is only when things go wrong that you are suddenly faced with a life-and-death survival situation. Therefore, you want to plan for the unexpected. Before you set off into the woods, take the time to go through all contingencies. Disasters often don't come with advance notice, nor do they send you any early warning signs. So learning how to survive in the wilderness can truly save you and your family's life. Great book for the adventurer in us all! Early on in his life, Matt craved a return to nature. When he became an adult, he set aside his comfortable urban life and lived entirely off the land. In this riveting narrative that brings together epic adventure and spiritual quest, he shows us what extraordinary things the human body is capable of when pushed to its limits. He learns the secrets of the Tarahumara Indians, which help him run the 1,600-mile Pacific Crest Trail in just 58 days and endure temperature swings of 100 degrees. Where's the Next Shelter? is the true story of three travelers on the Appalachian Trail, a 2,000-mile hike that stretches from Georgia to Maine, told from the perspective of Gary Sizer, a seasoned backpacker and former marine who quickly finds himself humbled by the endeavor. If you long for the horizon or to sleep under the stars, then come along for the hike of a lifetime. All you have to do is take the first step. 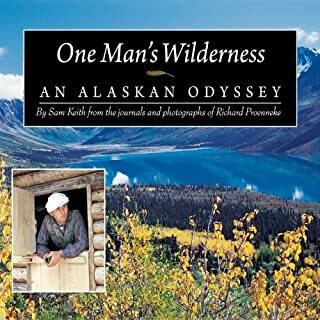 Off Grid and Free: My Path to the Wilderness is the story of the journey Ron Melchiore undertook as a young man from the city, first to homesteading in northern Maine and then to living in the bush of northern Saskatchewan. He has lived off grid since approximately 1980 and speaks candidly about the joys and the tribulations of his chosen lifestyle. 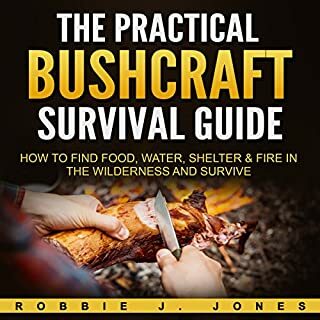 Bushcraft 2.0: 101 Tips, Tricks, and Secrets About Traditional Wilderness Survival Skills to Survive, Thrive, and Master the Art of Bushcraft from A to Z! 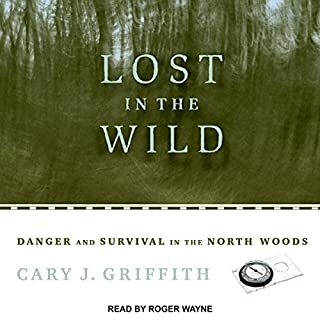 This audiobook will help you: learn the basic principles of bushcraft, learn how to choose the perfect bushcraft knife, learn how to choose all the tools and equipment for a successful bushcraft experience, learn about wild food, learn about poisonous plants and fungi that you will need to avoid, learn how to pack for a wilderness expedition, learn the skills for traveling and navigating the wilderness, learn the history of bushcraft skills, learn primitive technology skills, and much more. Green Beret and outdoor survival expert Mykel Hawke provides the most practical and accessible survival skills and information necessary for anyone to survive an unexpected situation in the outdoors. These are the most tried-and-true methods based on Hawke’s 25-year career as a captain in the US Army Green Berets, founder of the survival training company Spec Ops Inc, and popular survival expert on a wide range of television shows. Geared to the untrained civilian, Hawke provides essential and easy-to-apply information. Inspired by over 25 years of practicing and teaching bushcraft throughout North America, survival instructor Tony Nester recounts backcountry tales of nomadic adventures using traditional skills that have faded from the modern world. 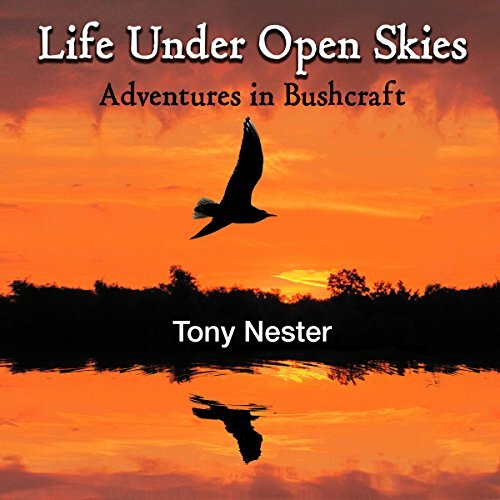 About the author: Tony Nester is the author of numerous books and DVDs on survival. His school, Ancient Pathways, is the primary provider of survival training for the military Special Operations community, and he has served as a consultant for the NTSB, FAA, Travel Channel, NY Times, Backpacker Magazine, and the film Into the Wild. 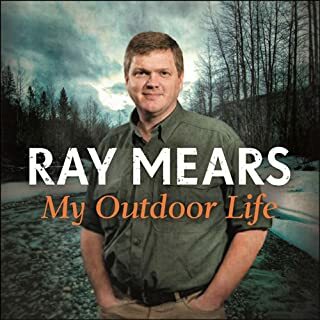 For years he wrote a popular monthly column for Outside Magazine, and his freelance writing is frequently featured in numerous print publications. I was delighted to receive this book as a gift! This book was great fun and a bit of a reminisce. Developing (un)common sense and learning what to expect and how to overcome and continue to learn is an invaluable asset to all. The author cheerfully recounts some of his many mistakes in the hope that some readers will not find the need to repeat them. Despite it's definite entertainment level, this book provides much useful knowledge for historical re-enactors, SHTFers, and the usual batch of enthusiastic campers. The tale begins in Michigan and spends much time in the desert southwest with some experiences in Central America. It also seems to be the teaser to get readers involved in the activities as well as an intro to other books he has written on the subject. This is a good thing. Whether the reader is an active camper or of the armchair variety, fun will be had and (un)common sense stimulated! Narrator Jack is educational where needed, droll where indicated, and generally seems to have had as much fun narrating as we have in listening. Interested in survival? Read this book. It's a behind-the-scenes look at a real survivalist, that starts with his experiences in boy scouts, and chronicles a lifetime of living in nature with minimal gear. It's not all sunshine and rainbows, but it's real and raw. The narrator did a great job with it. I received this book,as a gift, in exchange for an honest review. I love, love, loved this story! I enjoyed every minute of "Life Under Open Skies." It was fantastic. I live in a rural-ish area and I sat outside under the stars with a blanket and listened which really made me think about the story and what it would take to survive in harsh conditions. The canyon flood in the story was frightening and I loved the 'Five Scorpion Night' chapter. Another thing I really liked about this book was closer to the end where it talked about buckskin. First, I love venison and second, I LOVE buckskin. This audiobook is about what it really takes to survive. It's not staged with props. It's the real deal. I hope Tony Nester writes more books in this vein. It was really enjoyable and had my attention right away. While listening, I had to frequently remind myself that Jack Chekijian was reading Tony Nester's book. This was another example of author/narrator being a terrific match. It was perfect. Audiobook received in exchange for an honest review. This was a good book filled with anecdotes. I read this at the goodt time for the coming year This book has encouraged me to go outdoors and explore the forests near my home next spring. Where does Life Under Open Skies: Adventures in Bushcraft rank among all the audiobooks you’ve listened to so far? 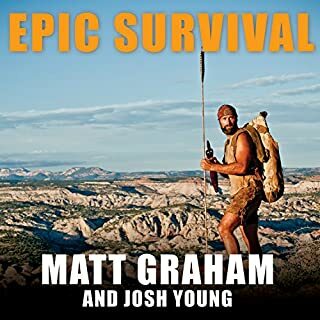 This is a good book to listen to about survival at it's most basic. What was one of the most memorable moments of Life Under Open Skies: Adventures in Bushcraft? When the author told us the truth about eating cactus. I don't think I would ever want to try that. I just thought good to know. Tony the author tells us about many adventures in the outback of North America. I guess I had a more romantic view of how one could survive in our wild lands. Tony most differently had changed my mind. I do how ever believe that more America's should learn to be able to live without a grocery store from week to week. After listening to the book. I keep thinking about what would people do if they were without the comforts of city life. So I will say this by listening to Tony's book you will pick up some ideas of what to do and not to for survival. I felt that the author's true goal was to tell his story and inform the listener to the truth of the great out doors adventure. Jack Chekijian has a great voice for this type of audio book. I have listened to many of his books that he has narrated and he always delivers and clear and easy to listen to voice. I received this audio book in exchange for a review. This book is an eye opener about adventures in the wilderness and how to survive them. This is a short non fiction and I even learned several things. One of the most important things I learned is if there is no water, you can't eat (unless it's apples) without making you more dehydrated. I didn't know that. While the book is quite good, I didn't love it. The author, Tony Nester does a great job on his story of survival during his adventures. The narrators, Jack Chekijian did an awesome job delivery this book to us. The right kind of encouragement! These anecdotes and short tales are both exciting and sobering! This is a great motivation tool for all aspiring bushcrafters! A wonderful tall of wilderness living and Bushcraft. The book was really great to listen to i found myself sitting in the car till the capter was over. not bad wish it was longer with more info but I've learned. Has me more interested in bushcraft. Jack Cherkijian is the perfect narrator for this book.I was actually expecting a book about travel but I was happily surprised.The 'adventures' are true stories of preppers.I found it interesting for the most part.I was given this book free for an honest review. Really enjoyed this man's account. 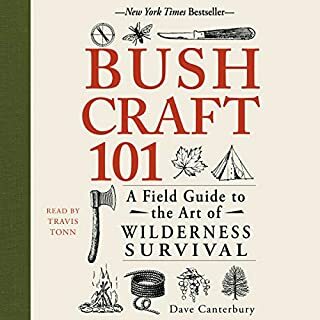 Even if you're not a bushcrafter, I would recommend it, because it is really entertaining, and told with a refreshing lack of hubris... Definitely recommend it.